We are conversion optimisers who help our clients use actual data instead of guesses. Armed with scientific methods, we reveal our customers’ growth potential and help them reach their business goals. Since the start, we’ve improved conversion in over 600 projects – and that’s something that we’re going to keep doing. Apart from having the best CRO experts in Sweden on our team, we’ve also started Sweden’s first CRO course “Conversion Manager” as well as the largest conversion and growth event in the Nordics – “Conversion Jam”. 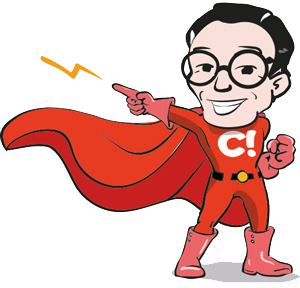 We currently have over 50 conversion heroes in our three different offices in Stockholm, Gothenburg and Oslo. You want to work at Conversionista! Does bad web piss you off? Come here then! Maybe you are Sweden’s next ninja. Let us destroy bad web together! If you want to work at Scandinavia’s and one of the world’s most observed companies within conversion optimization, you are in the right place. With almost 200 conversion experts, we are globally working for a continuous delivery of the best methods, tools and competences, straight to our global clients: Renault, Microsoft, The North Face, VANS, Booking.com, Accessorize and more. Conversionista is the single representative from Scandinavia.